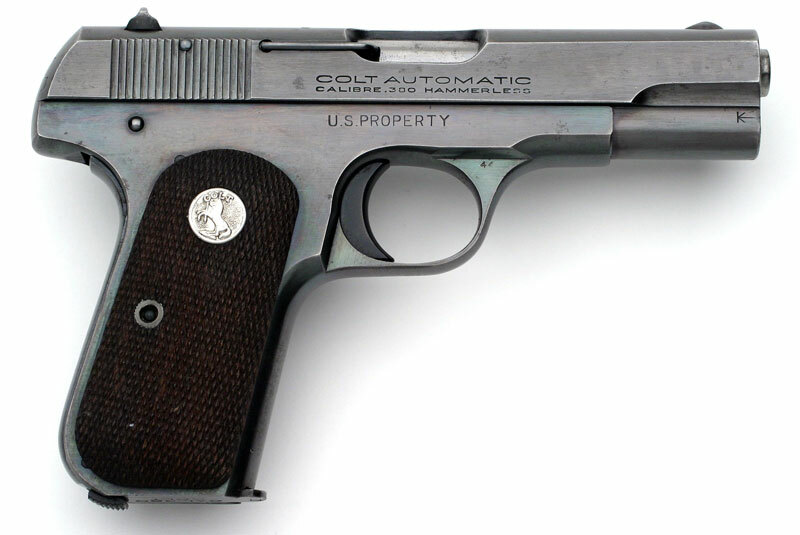 A Colt Model M .380 pistol issued to Major General Alfred H. Johnson - On May 31, 1950, Brigadier General Johnson was presented his Colt 1908 .380 caliber sidearm, serial number M137709. 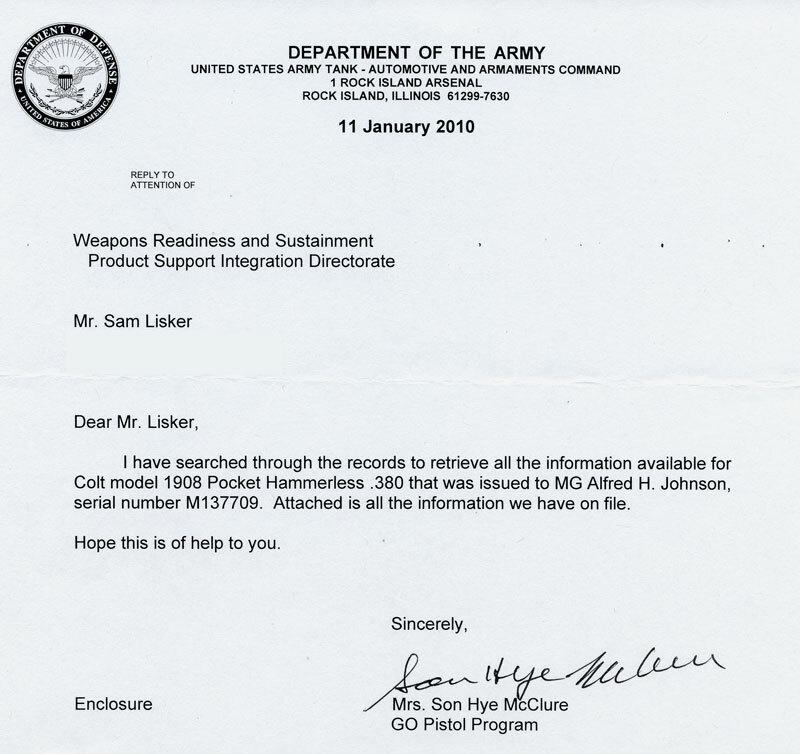 Shipped to Wright-Patterson Air Force Base, Dayton, OH. One of General Johnson's most notable accomplishments was his work on the development of and test piloting the first supercharged cabin plane in 1936 for which he received the Distinguished Flying Cross. This project was so significant that it received the famous Collier Trophy for 1937. The Lockheed XC-35 was a twin-engine, experimental pressurized airplane. It was the first American aircraft to feature cabin pressurization. The distinction of the world's first pressurized aircraft goes to the Junkers Ju 49. The XC-35 was a development of the Lockheed Model 10 Electra that was designed per a 1935 request by the United States Army Air Corps for an aircraft with a pressurized cabin. 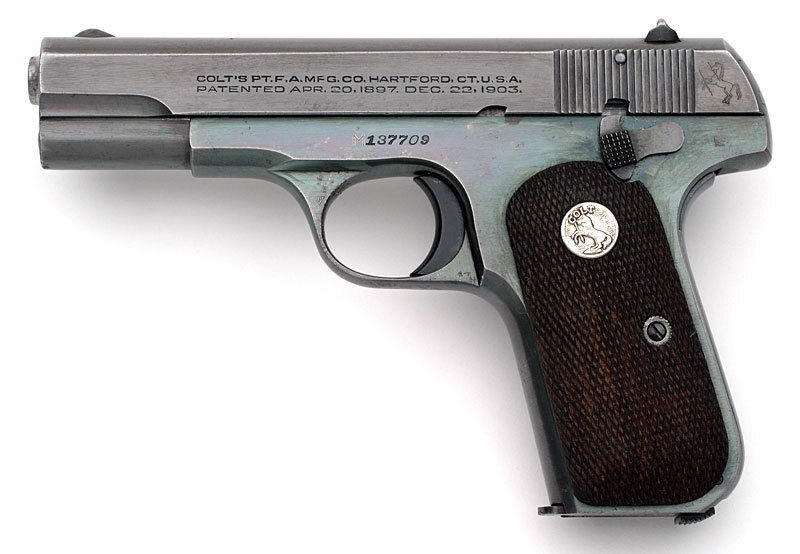 "M" marked example with M prefix on serial number. Also present is the ordnance inspector's mark located to the right of the thumb safety. U.S. PROPERTY mark on right side of frame above trigger area. 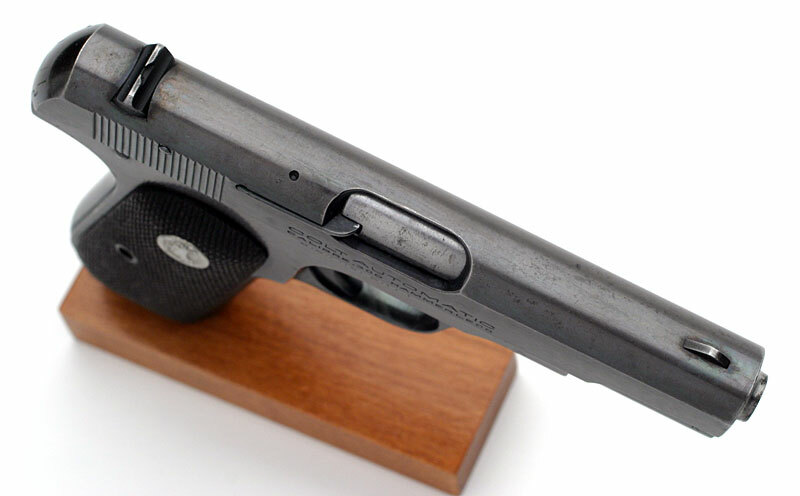 This gun is accompanied by the original full blued "M" marked magazine. Alfred Henry Johnson was born at Donnybrook, N.D., in 1904. After attending the University of North Dakota, a year later he entered the U.S. Military Academy, graduated and was commissioned a second lieutenant in the Air Service, June 12, 1926. Army Air Corps (Act of 2 July 1926), worked on the development of and was the test pilot for the first supercharged cabin plane in 1936 and received the Distinguished Flying Cross. This project was so significant that it received the Collier Trophy for 1937. 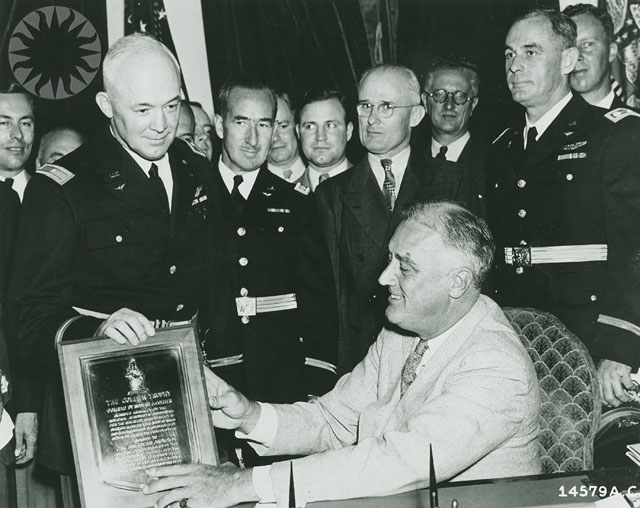 The President of the United States of America, authorized by Act of Congress, July 2, 1926, takes pleasure in presenting the Distinguished Flying Cross to Captain (Air Corps) Alfred H. Johnson, U.S. Army Air Corps, for extraordinary achievement while participating in aerial flights. Despite a history of failures and fatalities in connection with developments in high level operations, Captain Johnson, with utter disregard of his personal safety, served as Pilot in the first successful test flights ever to be performed in a pressure cabin airplane. By his courage and skill as a pilot, combined with a superior knowledge of supercharged power plant operation, Captain Johnson aided materially in bringing to the United States Army Air corps the distinction of first demonstrating practical high level airplane operation. During the following 13 years General Johnson held various assignments at Air Force bases throughout the United States. In May 1939 he was assigned to Air Materiel Command headquarters at Wright Field, Ohio as an engineering officer. In April 1942 was appointed Commanding Officer, Air Force Procurement District, with headquarters at Detroit, Michigan, 1943 - 1945. General Johnson went to the Philippine Islands in June 1945 as deputy commander of the Fifth Air Service Area Command, and three months later was named chief of the Air Base Service Division of that command. He assumed command of the Fifth Air Service Area Command in May 1946, and of the Okinawa Air Materiel Area the following July. He was appointed assistant chief of staff for materiel of the A4 Far East Air Forces at Tokyo, Japan in January 1947. 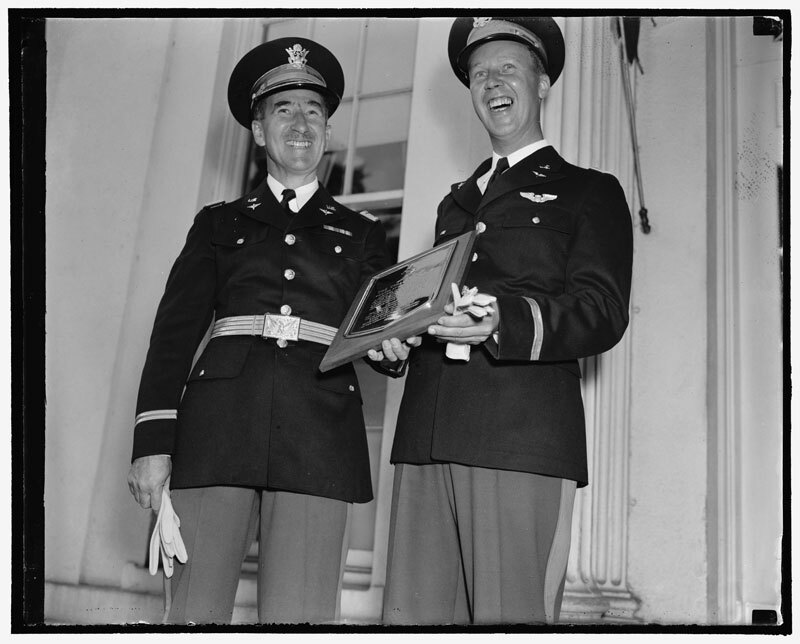 In July 1948, General Johnson was assigned to Air Materiel Command headquarters at Wright-Patterson Air Force Base, Dayton, Ohio, and in August 1948 became assistant deputy to the commanding general for Operations of Air Materiel Command. In September of 1949 he achieved the rank of Brigadier General and was appointed chief of the Industrial Planning Division of Air Materiel Command, becoming chief of the Production Resources Division there in February 1951. The following November General Johnson was assigned to the Munitions Board at Washington, D.C., as chief of the Office of Petroleum Programs and executive secretary of the Joint Petroleum Committee, and in August 1953 as Major General, became chief, Office of Petroleum Programs, and chairman of the Joint Petroleum Committee, Office, Secretary of Defense. In December of 1953 the general was designated deputy director for logistics plans, joint staff of the Joint Chiefs of Staff, Office of the Secretary of Defense. Retired 1957 Major General, Died Harlingen, TX March 8, 1985. His decorations include the Distinguished Flying Cross and Distinguished Service Medal. He is rated a command pilot, combat observer and aircraft observer.